Working overseas in a foreign country is a unique and enriching experience. It allows you to get a good perspective of a country which is new to you and exposes you to a whole different lifestyle and culture. You may be able to learn a new skill, language, meet interesting and different people. This will provide an insight into an experience many people do not get to have. There are different ways that people attempt this way of working. Some opt for a travellers ‘hope for the best’ approach, others are sponsored by a company beforehand or people go through working holiday schemes. Oyster sends out applicants on working holiday visas to Canada, Australia and New Zealand. As well as TEFL/TESOL courses to China and Thailand and a paid ski season in Romania. Here is a guide to working abroad with tips and hints about where to go, how to get there, practicalities to consider when there and what you are going to do. Where to go and how? Getting work overseas may seem difficult but there are ways to get out there and work without having to be sponsored. You can just head out to the country and hope for the best that you fall into a job but there are plenty of other ways to help you on your way. 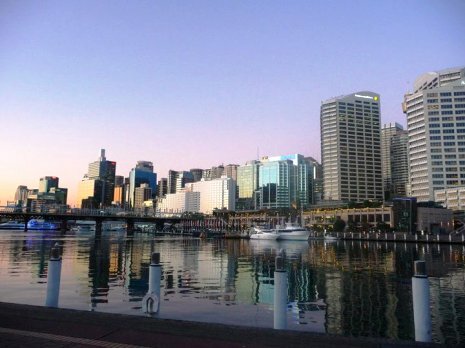 Australia boasts that 13.6% of migrating British people relocate to its sunny shoreline and 5.9% of Brits move to Canada. The reasons for this are due to the great economies of each country to find and hold a job. The standard of living is high and salaries in each country are usually greater than in the UK. Australia has the draw of warm weather and beaches, but Canada and New Zealand have amazing natural attractions and a great lifestyle and quality of life. These countries all speak English too so it is a lot easier to move there as an ex-pat or on a working holiday. The working holiday visa which Australia and New Zealand offer, allows one to combine work and travel for 1 or 2 years. These schemes are mainly aimed at individuals who want to take on more casual work whilst travelling in order to top-up funds. Oyster offer the chance to work abroad in Romania too. This is opportunity is different to moving to Australia or Canada due to UK or EU citizens not needing to acquire a working holiday visa. Being located in the EU, the country is accessible, well-connected and easily communicative despite the language barrier. So for a first time working overseas, Romania is a steady and stable stepping-stone towards earning abroad and experiencing a new country! 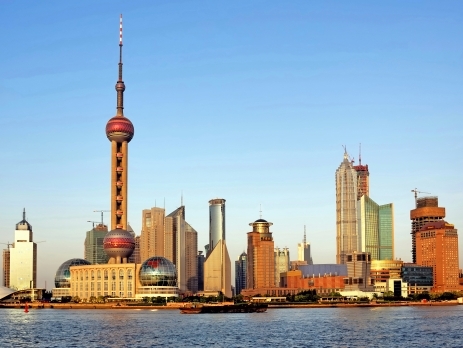 China is fast becoming a popular destination for travellers. The emerging economy has many teaching opportunities which run for a year and upwards. Considering China was a closed nation only about 40 years ago, there is high demand to learn English and young keen travellers are the answer. Oyster offer projects where you can travel teach and earn in China. This requires a Chinese Z visa which costs £300 which Oyster helps with the application process and obtainment of this visa with you. Teaching abroad is a great option for travellers who want to get settled and properly get to know a place. It appeals to recent graduates and career breakers alike due to its ability to work and travel simultaneously whilst gaining new experiences. Oyster’s TEFL/TESOL courses in Thailand are 4 weeks long which can lead to a teaching job afterwards. These courses also offer you the ability to make back your expenditure and pay for your further travels. Teachers work a few hours everyday and prepare lessons for the kids. Housing is accommodated for and cost of living is usually cheaper. As a teacher you are expected to work a few hours each week with interactive and innovative lesson plans for the children. Check the relevant foreign embassy or high commissioner building in your respective country about visas and other legal requirements. Canada offers an International Experience Canada working holiday visa for certain countries. Oyster help applicants eligible to get this visa. You need to be between 18 and 30 and fill out an online application form. If you are eligible and filled out the immigration forms you are then invited to submit your application. Your account is put into a pool of candidates awaiting the visa and if you are lucky you will get an e-mail confirming your proposal. You have 10 days to accept or decline the offer. Afterwards, you will receive a ‘Point of Entry’ letter of introduction which is the key document needed to enter Canada. To go abroad and work and earn money can help your career thrive at any stage of its development. If you have come straight out of school or university; working overseas grants you with invaluable experience and is a great way to begin your career. Moreover, if you are considering a career break then working overseas can be a true new leaf and chance to do something different. There are many different reasons to want to go overseas. If you want to simply travel abroad because you can and wish to see a different place, then there are opportunities and jobs which can cater for short term stays (>6 months) as well as medium term(>1 year). If you intend on relocating to a place in order to have a new career, then factors like your welfare, quality of life and political stability should be considered. When you go to different countries you often find your money goes either further or quicker depending on where you are. So, the chance to make money whilst being abroad is a perfect idea. In Australia the average wage you will make in an office job or retail or restaurant job is around $18 per/hour. This will vary according to the job you find on our Oyster working in Sydney programme. Australia is well known for having higher wages compared to the rest of the world. In Canada there are competitive wages depending the type of job you’re in and where you are located. 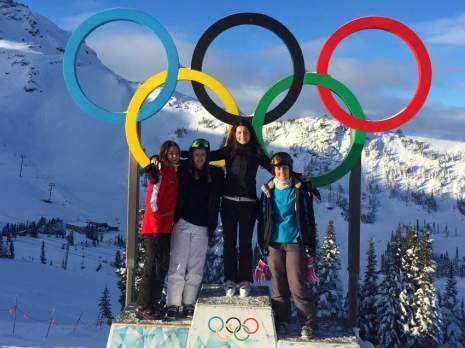 Working as a ski instructor in Whistler, British Colombia, you can earn a wage of $12 per/hour. You may get tips on top of this depending on who you are instructing too. Moreover, when you work in ski resorts you can save money by having discounts in the stores and getting around. You can even get cheaper meals on the mountain. Our TEFL teaching job in China can set you up with a wage of 6500 RMB per month after tax (approx USD 1000 or GBP 800, which is worth a lot more in China). On successful completion of your contract, you will receive a bonus of 6500 RMB. The extra bonus aids towards travelling around China after your contract with the teaching job ends. China is such a big country there are naturally many things to see. The Great Wall and the Terracotta Army to the Forbidden City and the skyscrapers of Shanghai. Many choose to negotiate and extend their contract with their school afterwards too. 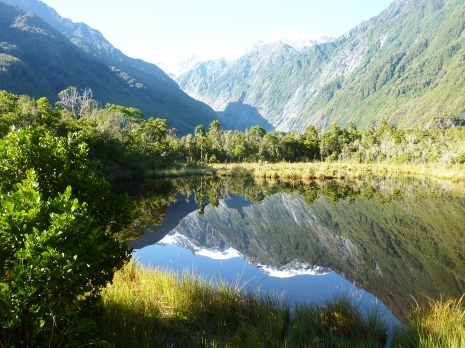 Rather than Australia, some people go even further afield and work in the striking landscape of New Zealand. Oyster’s programme offers an induction week to experience Maori culture and visit the beautiful sights and people of New Zealand. Following this you are introduced to working sectors like hospitality and retail and agriculture, factory and warehouse work to help find a worthwhile job for the rest of your working holiday visa. Usual wages are at least the NZ minimum wage of $14.50 per hour. Another excellent opportunity to live in another country and earn money is Oyster’s paid ski season in Romania as a ski instructor. 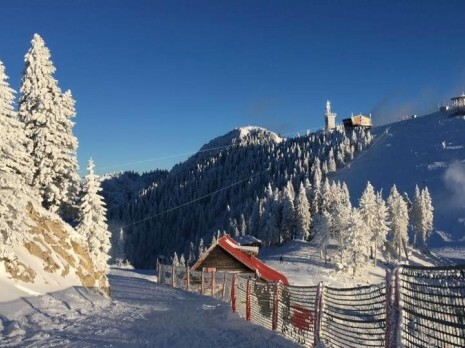 In the breath-taking resort of Poiana Brasov surrounded by the Carpathian Mountains, this resort offers great skiing conditions and a more than adequate pay wage. On average this will be around 40 lei per hour plus tips. This salary goes a long way in Romania; where cost of living is much lower than what you might normally be accustomed to. Working overseas will undoubtedly make you stand out from the crowd and look more employable on your CV. It shows that you are pro-active enough to step out of your comfort-zone to find interesting and different work. You are willing to meet new people and challenge difficulties of moving abroad and also want to expand your knowledge of the world. If you work overseas, employers are more likely to think you have more professional experience and therefore achieve greater work positions. Furthermore, reaching out overseas will increase your network of contacts which will greater your chances of finding more relevant work for you. This is useful for when you are still abroad and working and when you should ever want to return home. Moving to work overseas does require a lot of planning and a few things (other than visas) are needed to secure and sort out before leaving your country. To help remove any extra foreign transaction fees when money is paid into your home bank account, it is worthwhile to open a foreign bank account. Whichever company you end up working for may have a specific bank they would prefer you to have an account with, so it is always best to sort this out early on when moving overseas. Oyster recommend to its volunteers to purchase a cash-card; one where there is no ATM transaction fee and free use within stores abroad. You link your home bank account with the cash-card and ‘load’ money onto it. Both health insurance and travel insurance is vitally important when travelling to work overseas. You want to be covered if anything does happen whilst you’re away and do not want to fork out a large sum for any injury or accident. Oyster requires it’s applicants to have insurance for any programme they embark on. For paid work overseas, many countries require you to present insurance documents at border control before letting you into the country as a customary necessity. Otherwise a working visa may not be allocated to you. If you are going to work in another part of Europe as a British citizen, a European Health Insurance Card (EHIC) allows you covered access to public medical care for your duration abroad which is protected by the NHS back in the UK. This medical cover is applicable for Oyster’s Romania paid work scheme. When you arrive in a new country overseas, to ensure you are not breaking the law, you have to get a social insurance number if you are going to get paid work in the country. This is not usually organised through the company you would be working for, so requires one to actively acquire the form. Oyster organises its applicants to all get their social insurance number together when they arrive in Canada to aid a smooth process of transition into a new country and work lifestyle. There are going to be slight differences and social norms which you might not quite understand or are adjusted to when you move overseas. Different countries have certain nuances which make it unique. Culture shock is a big obstacle to overcome wherever you go, so to prepare yourself for it there are plans you can take. By familiarising yourself with general trends, sports, cultural references and etiquettes will help you fit in quicker and easier. For example, in Canada, punctual attendance is always expected, as well as 15%-20% tip on services. Working overseas is an exciting prospect, so one shouldn’t become flustered and anxious about moving and instead embrace the new experience. Educating yourself on these cultural differences will make you better acknowledge the new place you will be moving to. Previous Post Book now for a family holiday with a difference!